On Sunday, a man was dragged violently off a United plane at O’Hare airport when several employees notified crew that they’d need seats on the “overbooked” flight. 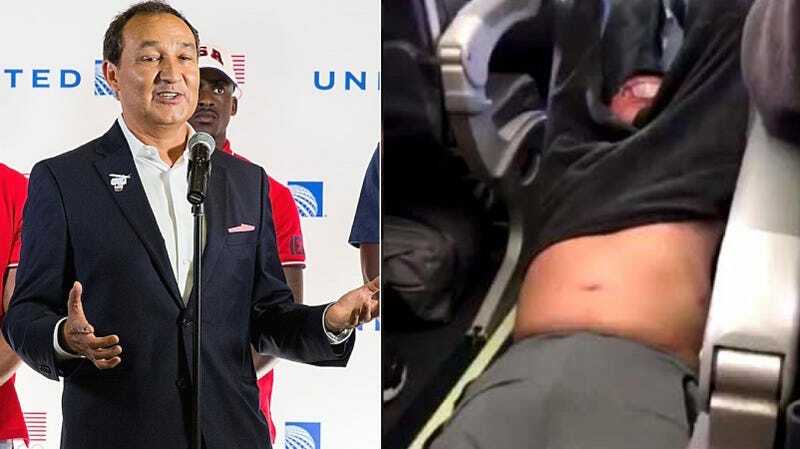 One man, Dr. David Dao, was randomly selected to “volunteer,” and when he refused, saying he had patients to see the next morning, was violently dragged out of his seat. United has responded by saying sorry not sorry. Involuntarily bump is one way to put it.